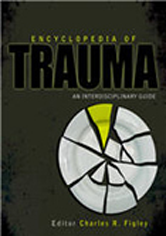 Trauma encyclopedias published to date all center around psychological trauma and its emotional effects on the individual as a disabling or mental disorder requiring mental health services. This element is vital and has benefited from scientific and professional breakthroughs in theory, research, and applications. This encyclopedia covers this central element, but its expanded conceptualization will include the other disciplines and will move beyond the individual.